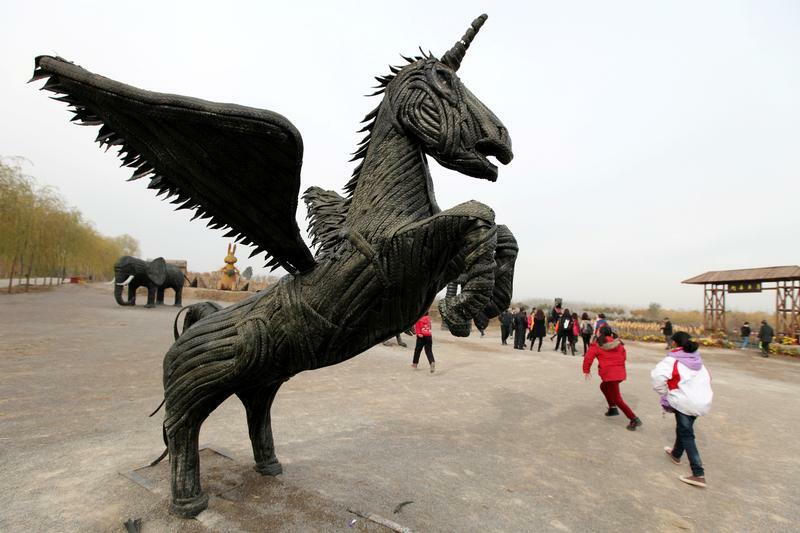 Visitors walk past a tyre sculpture in the shape of a unicorn in Zaozhuang, Shandong province, China November 19, 2017. South Korea's Viva Republica, which operates financial services app Toss, said on Dec. 10 that it raised $80 million at a valuation of $1.2 billion. The funding round was led by U.S.-based Kleiner Perkins and Ribbit Fund, and is the first investment in a Korean startup for both. Existing backers including Altos Ventures also participated in the round. Toss offers users peer-to-peer payments, credit score management, insurance, and wealth management products. Registered users on the app reached more than 10 million, the company said. Venture capital investments in South Korea hit 2.6 trillion won ($2.3 billion) in the first nine months of 2018. That compares to 2.4 trillion won for all of 2017, according to data from the Korea Venture Capital Association.